The M40-series started in 1987 with the production of 1.8-liter four-cylinder engine M40B18. M40 engines came to replace the old M10-series, which was very successful and common for BMW models in those days. A year later, the manufacturer released the smaller version - 1.6-liter M40B16 engine. The engine is quite traditional and straightforward. The cylinder block is made from cast iron. There is SOHC 8-valve aluminum cylinder head with hydraulic lifters inside. M40B18 camshaft specs: duration 244/244 deg (single pattern cam), valve lift is 10.6/10.6 mm. 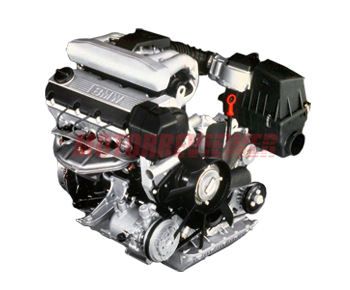 M40 engines have a timing belt instead of a chain as in M10 engines. The engine has the aluminum intake manifold and electronic fuel injection and ignition systems. The fuel injection system is Bosch Motronic 1.3 for the E30 versions and Bosch Motronic 1.7 for the E36 model. The M40B18 application is 18i models. The production of this engine was stopped in 1994 because BMW already was producing a new engine for two years - M43B18. 1. The main problem is with a timing belt. It wears very fast and becomes a reason for bent valves. Try to keep an eye on the condition of a timing belt. 2. Camshaft or broken hydraulic lifters produce some knocking and ticking noises. It is crucial to replace camshaft with any damages to avoid an expensive repair in the future. Also, the engine will not rev high with a worn camshaft. 3. In such old engines like the M40B18, there are also old electronic components. Check an air flow sensor and an oxygen sensor if idle is unstable or you have some acceleration problems. 4. The common problem is dirty injectors which lead to high fuel consumption and loss of power. 5. Like all BMW engines, the M40 also is sensitive to overheating. Don't forget to clean a radiator sometimes and change the coolant in the system at the correct time presented in maintenance schedule for your vehicle. The engine life of the M40B18 is about 180,000 miles. By itself the engine is reliable, but in present time it is hard to find a car with that engine and low mileage.